Incorporating hundreds of objects, documents, and photographs collected by the Japanese American National Museum, this exhibition chronicles 130 years of Japanese American history, beginning with the early days of the Issei pioneers through the World War II incarceration to the present. Among the notable artifacts on display is a Heart Mountain barracks, an original structure saved and preserved from the concentration camp in Wyoming. In honor of the 30th anniversary of the Civil Liberties Act of 1988, the landmark legislation that brought incarceration camp survivors an apology from the US government and monetary reparations, the last section of Common Ground has been reimagined to further emphasize the historic achievements of the redress movement. Artifacts from the JANM Collection have been added and through September 23, 2018, pages of the original Civil Liberties Act document, including the page bearing President Ronald Reagan’s signature, are on display, on loan from the National Archives in Washington DC. Enhance your visit to JANM with our Common Ground audio guides, available in English, Japanese, Korean, Mandarin, and Spanish. The audio guides provide images, oral histories, and other rich content pertaining to the Japanese American experience. 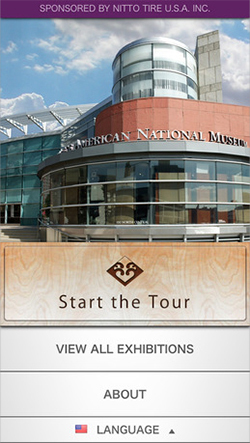 iPod touches are available for museum visitors to borrow free of charge while viewing the exhibition. Please make your request at the front desk. The guides may also be downloaded free from the Apple App Store. JANM’s audio guides are made possible by Nitto Tire U.S.A. Inc.
See the Common Ground Collection at the JANM Store for books, DVDs, and other related items. In the summer of 2010, museum volunteers worked with staff and interns to create a series of 30-second digital video shorts sharing the volunteer’s personal stories related to artifacts from the exhibition Common Ground: The Heart of Community. In honor of the 30th anniversary of the signing of the Civil Liberties Act of 1988, join us for an afternoon of reunion, reconnection, and reaffirmation of our commitment to democracy and justice. JANM President and CEO Ann Burroughs, GFBNEC President and CEO Dr. Mitchell T. Maki, and Karin Wang, Executive Director of the David J. Epstein Program in Public Interest Law and Policy at UCLA School of Law, will remind us that the fight for civil rights is most successful when done in solidarity across generations and regardless of race, class, gender, or any other single factor of identity. On this afternoon, the museum will be taking group photos of all those involved in the redress movement of the 1980s as well as those who would like to reaffirm their commitment to democracy today. Following the photos, light refreshments will be served and guests will be invited to pledge their personal commitment to civil liberties by signing our Commitment Banner. Admission to JANM is Pay What You Wish on this day. RSVPs are strongly recommended using the link below. Please note that priority seating will be assigned to those who have made reservations in advance. RSVPs will be released 15 minutes before opening, seating thereafter will be first come first served. Presented in partnership with Go For Broke National Education Center, JACL: Downtown LA Chapter, JACL National, JACL: Pacific Southwest District, Kizuna, Little Tokyo Historical Society, Little Tokyo Community Council, Little Tokyo Service Center, Manzanar Committee, National Veterans Network, Nikkei for Civil Rights & Redress, UCLA Asian American Studies Center, and Visual Communications. In honor of the 30th anniversary of the Civil Liberties Act of 1988, the landmark legislation that brought incarceration camp survivors an apology from the US government and monetary reparations, the last section of Common Ground is being reimagined to further emphasize the historic achievements of the redress movement. Artifacts from the JANM Collection will be added and for a limited time, pages of the original Civil Liberties Act document, including the page bearing President Ronald Reagan’s signature, will be displayed. These pages are on loan from the National Archives in Washington DC. The revised gallery will go on view August 4, with the original pages from the Act on display through September 23, 2018. On August 10, 1988, President Ronald Reagan signed the Civil Liberties Act of 1988, landmark legislation through which the US government issued an apology and provided monetary compensation to Japanese Americans who had survived America’s concentration camps during World War II. JANM will commemorate this unprecedented event in our nation’s history with a conversation between the Hon. Norman Y. Mineta and Dr. Mitchell T. Maki, Go For Broke National Education Center President/CEO and author of Achieving the Impossible Dream: How Japanese Americans Achieved Redress. Presented in partnership with GFBNEC in conjunction with the newly re-installed redress section of Common Ground: The Heart of Community. Members at the Director’s Circle level and above are invited to preview the newly-reinstalled final gallery of the museum’s Common Ground exhibition with a new emphasis on the redress movement and its achievements. Pages from the original Civil Liberties Act of 1988 document will be displayed, temporarily on loan from the National Archives. Program with light reception to follow. Invitations will be mailed in June. JANM presents a four-week series of public conversations taking place within our core exhibition, Common Ground: The Heart of Community. Each conversation, which will be facilitated by a member of our education staff and follow a guiding theme, is intended to generate meaningful dialogue among guests, utilizing Japanese American history to delve into contemporary issues and concerns. Portions of the exhibition will serve as jumping-off points for each conversation. 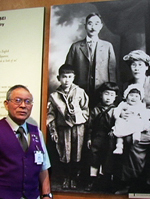 Common Ground incorporates hundreds of objects, documents, and photographs to chronicle 130 years of Japanese American history, beginning with the first generation of immigrants to the United States (Issei) and including prominent coverage of the World War II incarceration as well as the military service of Japanese Americans during the war. All are welcome to attend and no tickets or RSVPs are required. Common Ground Conversations are free and coincide with JANM’s free admission on Thursdays starting at 5 p.m.
Members and their families are invited to join JANM’s Education Department for an in-depth look at some of our favorite artifacts in Common Ground. Recommended for multi-generational families with children high school-aged and older. In 1994, the Japanese American National Museum staff and volunteers organized a project to travel to Heart Mountain, Wyoming to take apart and bring back to Los Angeles two fragments of original barracks buildings built by the U.S. government to house Japanese Americans unfairly imprisoned during World War II. The project was part of the National Museum’s landmark exhibition, America’s Concentration Camps: Remembering the Japanese American Experience, and the display of the Heart Mountain barracks building became the symbol of the unconstitutional mass incarceration of over 120,000 people of Japanese ancestry. The project, organized by Museum staff member Nancy Araki and former Heart Mountain inmate Bacon Sakatani, included dozens of former inmates and interested parties who traveled over 1,000 miles or more to take part in the dismantling. To recall the historic events, the program will include the screening of the award winning documentary, “Legacy of the Barracks”, produced by Mark Mohr for KABC-TV Channel 7 in 1994. Also on hand will be other key participants, including Ron Mukai, whose father Tomo lived in the barracks fragment still on display at the Museum; Sakatani; Araki; contractor David Honda; author Sharon Yamato, who, along with her cousins, took part in the dismantling, and then wrote a book on her experiences, Moving Walls: Preserving the Barracks of America’s Concentration Camps; and, preservation architect Jim McElwain, who oversaw the logistics of the dismantling and the reassembly in Los Angeles. Following the program, a reception will be held adjacent to the Heart Mountain barracks in the National Museum’s Pavilion. Take a fun and educational family friendly tour of Common Ground: Heart of a Community. This tour is designed to make history come alive for the whole family. September 12 – Target Family Free Saturday: Crafty! October 10 – Target Family Free Saturday: Toy Shoppe! December 12 – Target Family Free Saturday: Let's Celebrate! The last session in this seminar reflects on propaganda post-September 11 using select objects in the exhibition Common Ground: The Heart of Community. Guest speaker to be announced. This collection of essays outlines how the National Museum operates in collaboration with other institutions, museums, researchers, audiences, and funders. Authors will speak on their case studies which explore collaboration with community-oriented partners in order to document, interpret, and present their histories and experiences and provide a new understanding of what museums can and should be in the United States. Book signing to follow. In this fourth of five sessions that examines ways propaganda has been used to perpetuate negative ethnic images and stereotypes, Dr. Mitchell Maki is joined by Johnn y Mori from the groundbreaking band Hiroshima. During the 1970s, the band impressed the music scene with jazz that effortlessly integrated East and West. Their music, as well as their commitment to the communities in which it was born, speak volumes about the ability of artists--and the arts--to subvert ethnic stereotypes and bridge cultures. In this third of five sessions, we continue our examination of selected propaganda artifacts displayed in the exhibition Common Ground: The Heart of Community featuring Dr. Mitchell T. Maki, Acting Dean, College of Health and Human Services at California State University, Los Angeles to reflect on propaganda prevalent during the resettlement era post-World War II. He will consider what lessons we can learn from the past to address current attempts to defend the incarceration of Japanese Americans and justify assaults on civil liberties. In this second of a five-part seminar features Dr. Mitchell T. Maki, Acting Dean, College of Health and Human Services, California State University, Los Angeles, and author of Achieving the Impossible Dream: How Japanese Americans Obtained Redress, in conversation with noted scholars, activists, and artists as they respond to propaganda artifacts displayed in the exhibition Common Ground: The Heart of Community. This session will examine the World War II period with actor George Takei. Mr. Takei was incarcerated in the Jerome and Tule Lake Concentration Camps. In his autobiography, To the Stars: The Autobiography of George Takei, Star Trek's Mr. Sulu, he writes how this odyssey propelled him to become and actor, writer, businessman and politically active individual. Please note: Actor Pat Morita was originally scheduled to be part of this discussion. Unfortunately he sends his regrets as he's been called to service - he will be the emcee for a major welcome home of troops from Iraq in Honolulu. This five-part seminar features Dr. Mitchell T. Maki, Acting Dean, College of Health and Human Services, California State University, Los Angeles, and author of Achieving the Impossible Dream: How Japanese Americans Obtained Redress, in conversation with noted scholars, activists, and artists as they respond to propaganda artifacts displayed in the exhibition Common Ground: The Heart of Community. This session will examine the period covering the late nineteenth century through the Great Depression era and include comments by Akemi Kikumura-Yano, PhD?, National Museum Senior Vice President, author of Through Harsh Winters: The Life of a Japanese Immigrant Woman, and curator of the National Museum's inaugural exhibit Issei Pioneers: Hawai`i and the Mainland 1885 - 1924. The Day of Remembrance will focus on Japanese Latin Americans who were kidnapped from fifteen Latin American countries, brought to the U.S., and incarcerated at U.S. Department of Justice camps during World War II. Although a settlement of $5,000 in reparations has been reached, many seek the same measure of justice as Japanese Americans. This special program will begin with words of tribute to the late Michi Weglyn who inspired so many people to seek redress for Japanese Americans and Japanese Latin Americans. A remembrance of the Japanese Latin American historical and present-day struggle will follow. The program will also include a presentation of the “Fighting Spirit Award” by the NCRR and performances by hereandnow and Visiting Violette in collaboration with members of NCRR and local youth. A reception for Day of Remembrance attendees will immediately follow. Reservations are required. To make reservations, please call the Museum at 213.625.0414.